Players line up in opposite corners with pucks. a goaly is in each net. The first player in each line starts with a puck. They skate down to the other end and shoot on the goaly. The next player in each line then starts with a puck. The player that just got done shooting turns around and back checks. 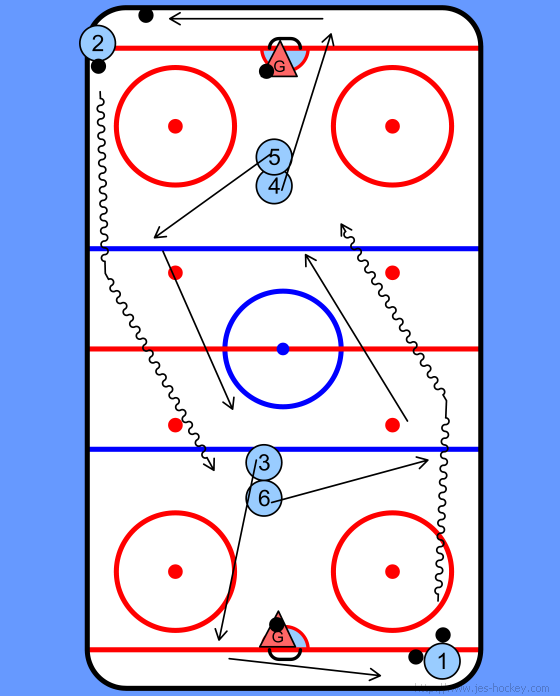 Continue with the drill until each player has went through it a few times and then switch corners. 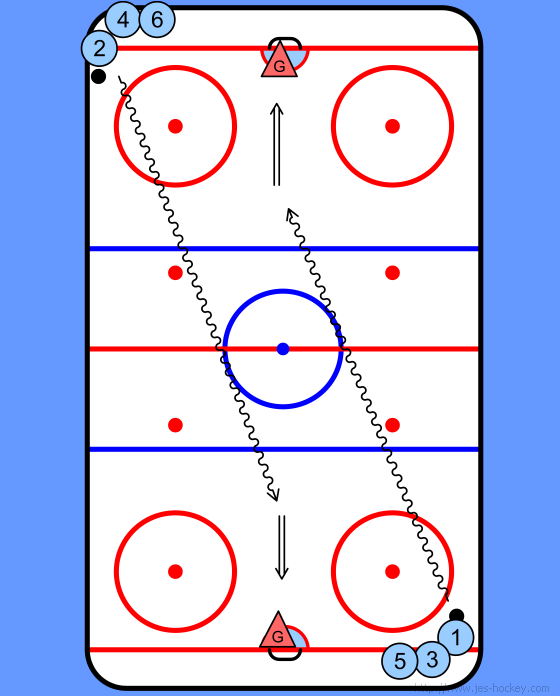 If more challenge is needed make the back checkers skate backwards until the far blue line and then they can go forward. This helps with backward skating speed. 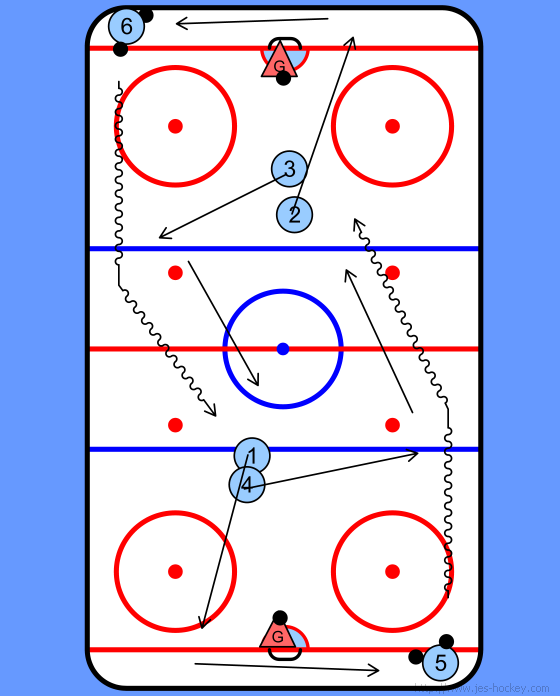 The purpose of the drill is not Catch the player but to work on your skill and speed in back checking. If the player is caught then it is an added bonus to the player.